In this issue we see the proliferation of products involving crafts and technology coming together to innovate and pay homage to natural materials. Here textiles play games of trickery, digital designs spawn newness, knit novelties pique interests, the 1950s see a comeback, wood inventions invigorate a fresh sense of style, and being eco-chic is all about child’s play. Get inspired with the December edition! We attend over 100 design events a year on your behalf to bring you trend insights and design movements to help you maintain cutting-edge knowledge of the lifestyle and design markets. Currently we keep readers in 8,848 cities within 161 countries/territories in the know! Are you reading Trendease.com? 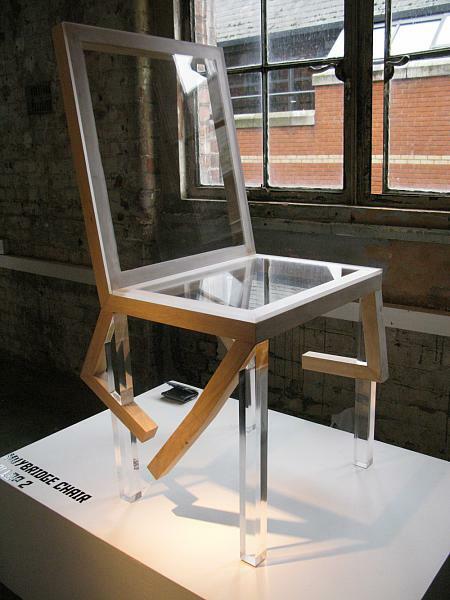 London — Artists, students and industry researchers with access to higher end digital-manufacturing technologies were part of a recent exhibition that sums up the energy of a new direction in design crafts. While some makers got so enchanted with the new tools that the finished product seemed an afterthought, others used the tools with finesse, creating provocative objects that stimulate intellectual as well as emotional responses. Multiple European Cities — The hit TV show Mad Men has spawned more than Janie Bryant’s new Mod clothing line, with designers in every sector going gaga over 50/60s motifs, colors and playful pattern combinations. The pansy gets special attention, and fun, lively, bright colors are the rule. Big pillows with lively clashes of flowers and stripes are thrown with plaids and big pansy print cushions on a polka dot spread. Worldwide — Knits are being stretched to fit every imaginable surface and unimaginable materials are being ‘knitted’ for design and amusement…wrapped, knitted, braided, coiled, knotted, looped and tied… The diverse craftsmanship of knits and crochets is covering a plethora of fashionable items; see them within this gallery! Worldwide — Humans in the 21st Century are dependent on technology for a newer and faster super-connected lifestyle. The cost is less silence and tranquility, which might explain the return of so many natural forms and materials to the design market, including the strong and silent association of wood. Worldwide — After many seasons of popularity, oozing and organic forms still present in today’s design. Organic shapes, taking as inspiration, ocean and desert life forms from sea urchins to cacti, swaying algae tendrils and languid floating lake flowers are taking root as renewed trends in vessel and tableware design. Las Vegas — What do children’s apparel, pillows, toys, lunch kits, tablemats, art materials and furniture have in common? Well at this event they were all part of a group of companies that are producing their products in an eco-conscious manner. With sustainability taking a front row seat, these companies are part of the trend to leave a smaller footprint as a manufacturer and a designer. Worldwide — This week’s gallery ought to grow on you. Fascinating and beautiful designs to hold our plants and flowers are entering the market for our interior and exterior spaces. This selection has been gathered from around the world: Thailand, Japan, China, The Netherlands, France, the United Kingdom, Germany, and beyond. As people start to put more emphasis on nature, green, and the like, more and more flora are incorporated into our manmade living environments. Worldwide — In reviewing the trend preview launched by Le Cuir à Paris just hours ago, we see some parallels and references to lifestyle shifts that were also discussed with the experts on the MoOD trend board last week. Fantasy and reality blur (thank you Avatar and Inception); nature grows in importance; low profile desires strengthen after over exposure on internet channels such as Facebook and Twitter; and innocence reveals itself in a cloudy pastel palette. Paris — Wherever you may be heading for business or the holidays, whether locally or abroad, we wish you safe and smooth travels. This week’s gallery hits close to home and features the brand-spanking-new, not-yet-seen, trends to be presented at Maison&Objet next January. Subscribers can find a video, product images, inspirational descriptions, and more within this newsletter. London — Warm holiday wishes from amidst a snow flurry of dancing flakes! The Trendease Weekly Newsletter will return to you in the New Year. Until then subscribers can get in the spirit with this selection of holiday window displays from Europe.